Chart-busting gospel favourite Guy Penrod, puts his powerhouse sound on timeless hymns in this Gaither Music masterpiece. This collection of all-new recordings features twelve beloved hymns, including a duet with the incomparable George Beverly Shea on the song 'Does Jesus Care?'. This keepsake is for anyone who loves hymns or enjoys the incredible gospel music legacy of Guy Penrod. 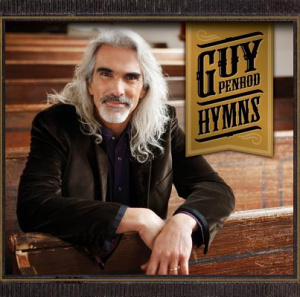 Hymns Collection CD by Guy Penrod was published by Gaither in March 2012 and is our 5226th best seller. The ISBN for Hymns Collection CD is 0617884614225. Got a question? No problem! Just click here to ask us about Hymns Collection CD. Now Playing: Leaning On The Everlasting Arms Your browser does not support the audio element.